Back in the late 1980s my daily driver was a Triumph Herald. They were cheap to buy, simple to work on, and I liked their stylish looks. Unfortunately they just weren’t very fast and their quirky suspension design meant they didn’t corner particularly well either. Although BMWs were “around” then—the E30 having been released a year earlier—they weren’t cars that fell within the rather meager budget of someone my age. However it was at the rear of a local used car lot that I found what was to be my first: a 1977 BMW 1502 in mint green. Honestly, it wasn’t a great example, but it ran and drove pretty well and within just a few miles I was smitten. I loved the simple “three-box” design and how great the car felt on the road. I’d been driving a ’60s Triumph remember, so even a tired BMW was a considerable step up! I’ve had a BMW of one model or another ever since that 1502, although it was 02s and E21 that were my preferred models. I loved their M10 engines and the performance they gave these small, simple saloon cars. My first 2002tii was a revelation and I used to dream about one day owning the holy grail 2002, the Turbo, with its flared arches and more aggressive bodywork. 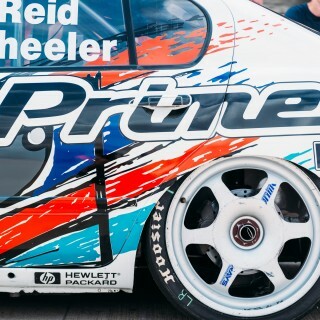 A year or so later, I happened to be at my local race track while Vic Lee Motorsport (known for their BTCC efforts) were testing their E30 M3 touring cars. I remember being stood at Paddock Hill Bend and hearing these awesome looking race cars coming towards me. 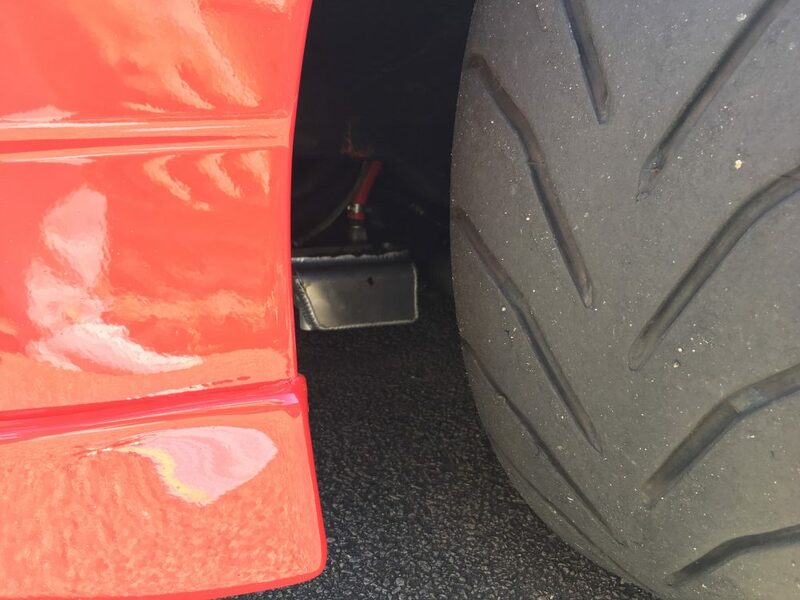 It made an impression, that hard edged, jack hammer induction sound from the S14 engine and the licks of flame from the exhaust as they plunged into the downhill section. I remember the hairs on the back of my neck bristling when they’d pass. They were just so special and a world away from what I had seen before. On that day I was even able to get close to the cars in the pit lane and stare into the stripped-out race car cabins like an excited child. The M3s seemed exotic from my vantage point, and combined with the kudos of the British Touring Car Championship and the other series it performed in, I just couldn’t foresee ever owning an M3 of my own. In fact, the first M3 I saw bought used was owned by a chap who used the same independent BMW specialist as I did. He’d bought it from a soldier who’d imported the car from Germany for around £5000. It seems crazy now that M3’s were ever so cheap, as you couldn’t rebuild the engine for that amount today, but stories of failed timing chains and expensive servicing used to put people off from buying such a thoroughbred car. 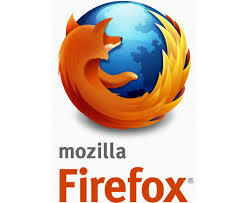 You have to remember this was pre-Internet, and parts and information weren’t as easily accessed as it is today. 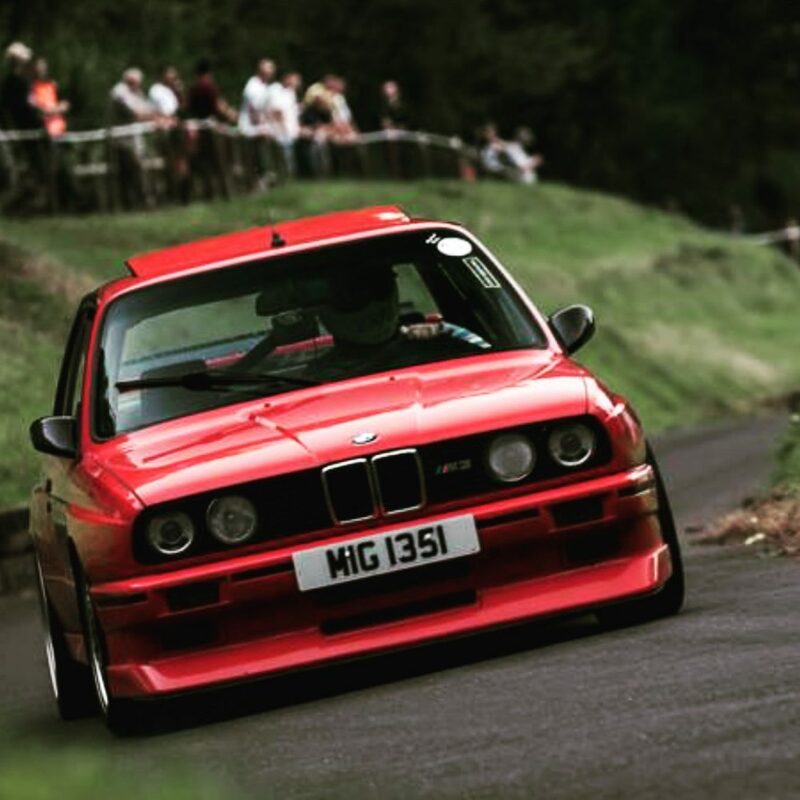 In fact, owning my own E30 M3 was still a few years off and I continued with 02s and E21s, with a couple of years running Ford RS2000 Escorts, until fate stepped in and I found myself laying in a hospital bed fighting for my life. In December 2004, whilst down in Cornwall for a few days, I had been involved in a near fatal car crash, where I broke my neck, back, pelvis and left leg. Had it not been for the air ambulance and the skill of the surgeons it is unlikely I would have survived. As it was, I spent three weeks in an induced coma and the following ten months in hospital. I have to say this was a pretty tough time and it took me five years more to recover and learn to walk again. That said, I am still living with the consequences of that accident today but remain incredibly grateful for all that was done for me. It’s also why I use a trusted independent and friend to work on my cars, as I simply can’t do the things I used to myself. I know there are some who may think I simply throw cash at my builds, but to know me also to know that isn’t the truth. 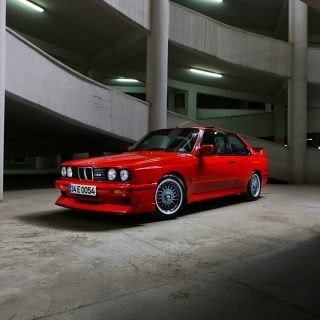 Jump forward to around 2009-2010, and I was back in a 1975 BMW 2002 Automatic and finally in a position to buy an E30 M3. In truth my budget would only stretch to an early, basic 2.3L, and I had a choice of just two examples. The first was a pretty tired silver car that had been used on track, and the second was all original but finished in Diamond Schwartz, which just isn’t my preferred choice of color. It was in pretty reasonable condition though, and with prices starting to rise, I figured I could run it for a few months, sell at a slight profit, and find a better one afterwards. Say that quickly and it sounds easy, but this was the most I had ever spent on a car, so it was a risk that would give me a few sleepless nights. There was also that first proper drive where I found myself questioning the decision to even buy the M3! Yes, it looked good, but it wasn’t exactly fast by modern standards, and it certainly lacked torque, and it was left-hand drive! The motorway drive going home left me feeling disappointed. Things just didn’t look great for my first M3 ownership, and my partner and I were due to take it down to Cornwall in the southwest of England the following day. The next morning we loaded the M3 and headed out of London. As we racked up the miles, my confidence in the car increased and I found myself working the engine harder. The more revs I used, the more it seemed to come alive and the more planted it felt on the road. Roundabouts required just a cursory dab of the brake before I could bury the throttle pedal once again, with the engine note hardening as the tach rotated toward red. 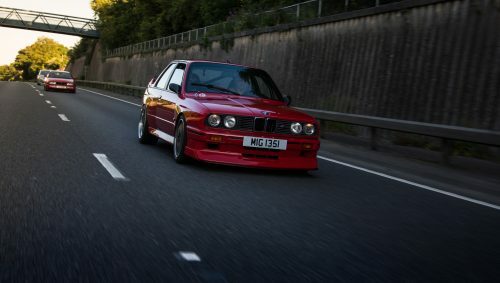 The quicker I went, the more those E30 M3 cliches rang true, and 200 miles later I just loved the thing. It finally made sense and had become the car I had read about and wanted for years. I know how corny this all sounds but it is a car that really gets beneath your skin and there’s a reason the E30 M3 is so revered today. You just have to adjust your expectations and driving style to suit. Eventually, I sold that first car to someone in Germany and bought another within a few weeks. All according to plan so far. In fact, I bought four different examples over the next three years, and was lucky enough to make a little on each subsequent sale. My goal was to finally find an M3 I could pay for without help from the bank and make my own. 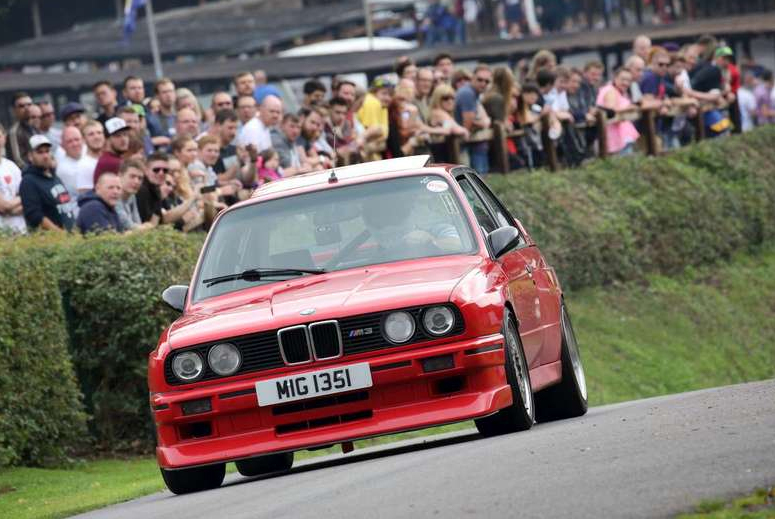 In fact, that customer was Chris Harris (of Top Gear) who wanted an M3 to build into a Group A rally car. So apart from a quick nap at home, I took this M3 straight to its new owner. The upshot of all this though is that I now had the funds to buy my own M3 outright. I just had to find one! 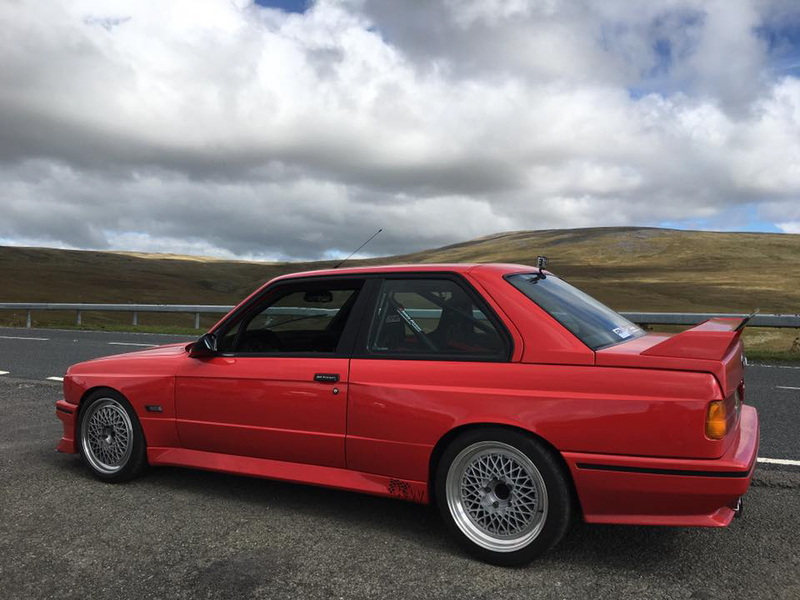 Clean E30 M3s just don’t come up for sale all that often in the UK, and most sell pretty quickly when they do, so it was some months later until I even saw my car advertised on a well known classic car website in Ireland. My mind was pretty well made up from seeing the advert, but seeing it in the metal after a flight and rental car ride, I just knew this would be my M3. It was a late 215bhp model that had been modified for regular track use, with a cage, uprated suspension, and race seats and harnesses. It also had Evo 2 front and rear spoilers and BBS Style 5 alloys in addition to the carbon fiber air box. The engine was pretty much stock save for that piece and a tune from Alpha N, so power was supposedly about 240bhp. In truth this was probably exaggerated and made some years earlier, and it had done a lot of laps of the Nürburgring since then. The body shell was pretty solid though, and the usual E30 rust traps were all very good. In fact, the whole car was pretty nice, but certainly what might be seen by some as being a bit tired. As a base car though, it was just about perfect. I flew back to the UK and wired a deposit that night. 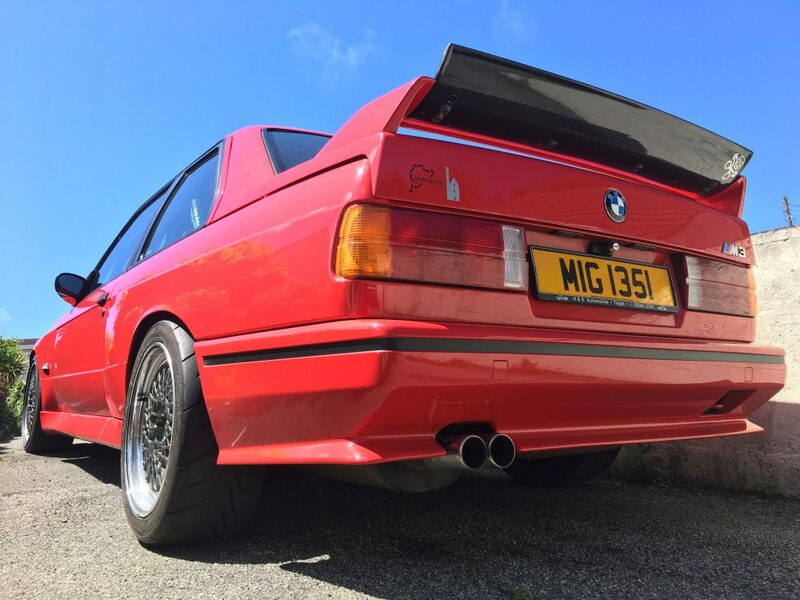 The seller was incredibly generous and gave me a couple of months to pull the final cash amount together, and the truth was he was glad his M3 was going to be cherished by its new owner. I’m still in touch with him today. In fact, I have traced all the previous owners except for the 2nd German one. 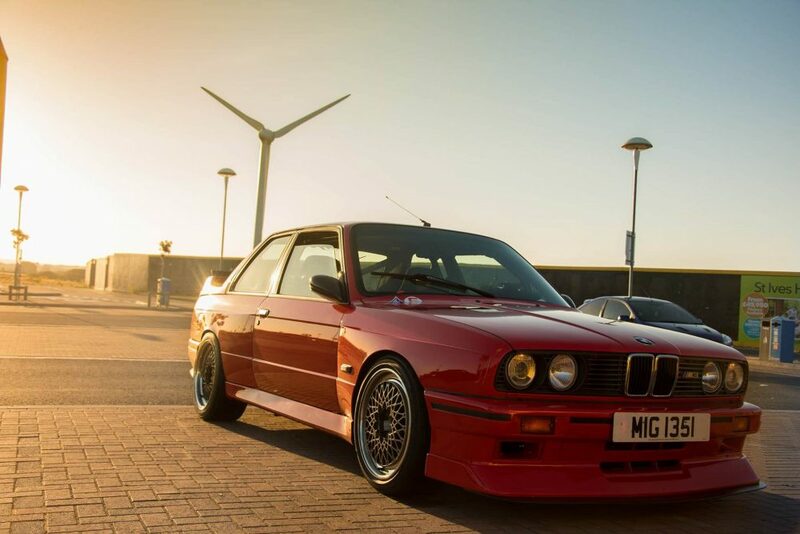 Going back to Ireland to finally collect my M3 was a long day, and when I finally had the keys in my hand I drove straight to the Ferry in Dublin and was back in Holyhead by early evening, with a long drive to London still ahead of me. I made it home exhausted but happy. As I said, since first deciding that I wanted an E30 M3, I knew it was going to be modified. I have always added to my cars and made them more personal to me, but I also wanted to release a bit more of the M3’s performance. What I didn’t want to do was spoil those traits which make the M3 the icon it is. I’ve always liked track-focused BMWs, and have competed in sprint and hillclimb events in an 02, an E21, and an E30 325, so taking the M3 on track was a dream come true. They’re a rare sight anywhere nowadays, let alone on a race track, but I’m a firm believer in cars being driven and used for their intended purpose; I enjoy going along to the occasional show, but driving is what cars are about for me, not polishing. So while I knew what I wanted to do to the M3, I had to work and save hard to achieve it. The “M Tax” can be very real at times, and the cost of parts and cars have gone crazy in recent years. An average M3 used to be around £10k but today you’ll be looking at £35k+, with Sport Evos making nigh on six figures! As a result many M3s have been priced out from the average BMW enthusiast, and are now considered investments, tucked away in heated garages. My car has been built on a tight budget and I have worked long and hard to achieve getting it to the standard it is today. I am lucky that I’ve had help along the way from knowledgeable friends and independent workshops. 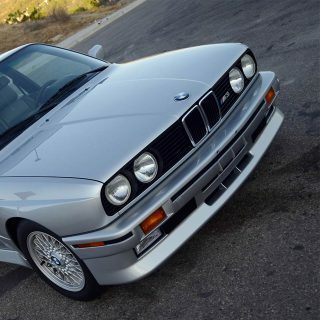 There is also a wealth of information to be tapped in other E30 M3 enthusiasts on forums like s14.net and s14power. Most M3 owners are pretty helpful and I have remained in touch with some really good people thanks to being an unashamed BMW fanboy! To bring the car to a level I was looking for, the first major task was cutting out any rust; luckily this was limited to the ends of the sills and the floor below the throttle pedal. While we were at it though, the floor was properly strengthened for the full Safety Devices roll cage, to enable it to do its job properly should the worst happen. The whole of the floor was also repainted in fresh Brilliant Red, and I then retrofitted a carpet to protect it and make the cabin a little more civilized. The dash and console were also flocked, and brand new Sparco race seats and harnesses fitted to the floors. The E30 isn’t a wide car, and being of “generous proportions,” I needed a large seat which rubbed against the OE door card, so these were replaced with carbon fiber slabs and pull straps. The rear parcel shelf was also replaced with carbon fiber (you’ll see a theme develop here). 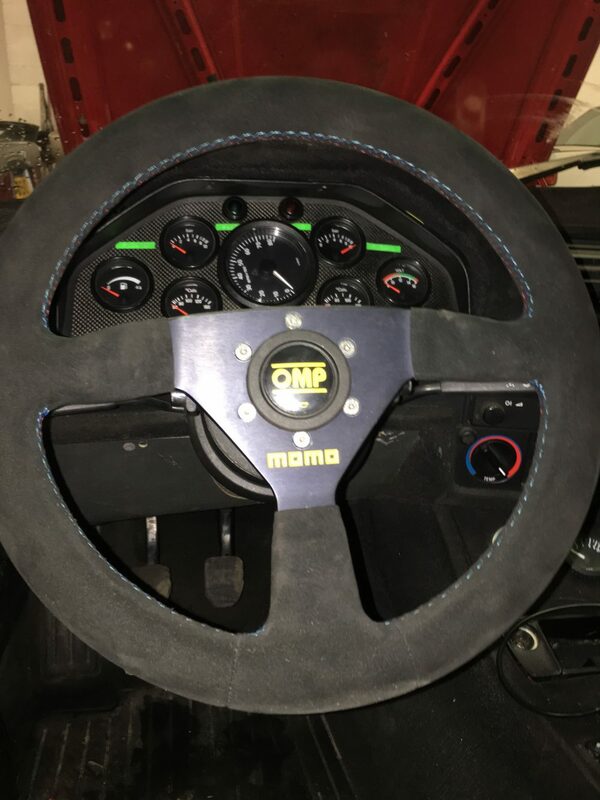 Final jobs for the interior were a Samsona gear shifter, re-trimmed MOMO steering wheel (alcantara and M tri-color stitching), and the OE clocks were replaced with analog gauges like the works race cars. I was after a sort of “Club Sport” feel, as opposed to full-on stripped-out race car, and I’m really happy with how it looks and feels in the cabin. There’s a real sense of purpose now, especially when you fire the S14. The car came to me on H&R uprated suspension and anti-roll bars, but I was never entirely happy with the rear suspension not being true coilovers. Fortunately, a set of KW V2s came up at just the right time, and I swapped them for the H&Rs. I also sold the OE front brakes and used the cash to buy TAROX six piston calipers and Ferodo DS2500 pads, which just transformed the braking performance. In fact, the brakes were so good I managed to avoid a collision, but ended up being rear ended by the guy behind me instead. Fortunately damage was limited and easily repaired by a good friend (and fellow BMW track car driver). In fact, we used the repairs as an opportunity to repaint the whole car. Every cloud! I also sold the BBS style 5 alloys the M3 came on and put the money towards some British-made replicas of BBS’s E50 three-piece alloys. 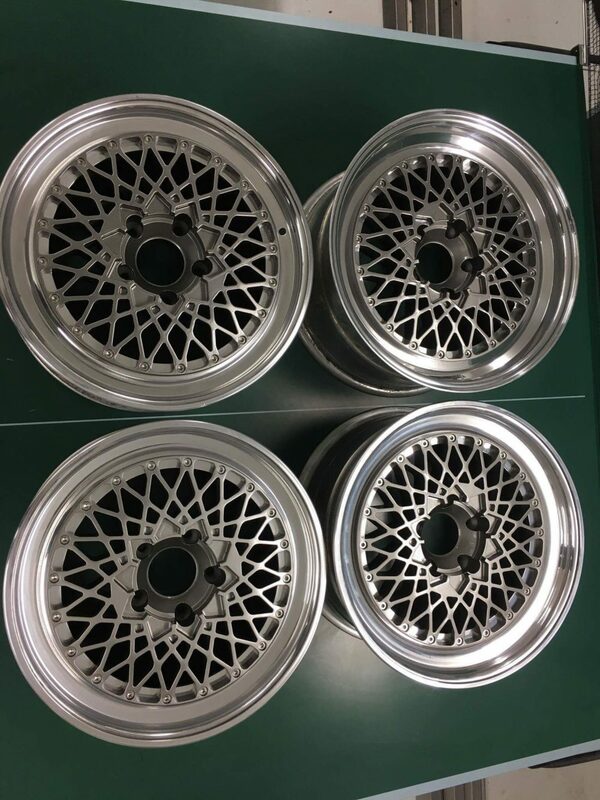 These were my ultimate E30 M3 wheel, and I think they are some of the best looking out there for the car. I wrapped them in road-legal track tires and was really happy with how my car was looking. The wheels also improved the look of my Ping Pong table before going on the car. During most years, some friends and I would go on a trip to Wales to drive some of the UK’s best roads. Unfortunately, I had a front tire let go which put the M3 into a ditch. Initially I thought I had got away with a bruised ego, two damaged wheels, and a smashed front spoiler, but closer inspection revealed a cracked oil pan, so I was going home on a transporter. At least nobody was hurt and the repair would be relatively quick and easy? Wrong! I didn’t realize just how much force had been transmitted through the engine, and one of the mounts had actually broken. I had also broken off a gearbox mount and cracked the timing chain cover, not to mention some damage to the floor, radiator, and exhaust system. It could all be repaired but it was going to take some time and it would be expensive. It was pretty clear that the engine was about due for a complete rebuild as it was, and the phrase for the day was soon to become ”While we’re in there” as while we were in there we opted to flow the head, fit Schrick camshafts, CP Pistons, and Carrillo con-rods, along with all the regular service parts like timing chain, tensioner, guides etc. Oh, and while we were doing that little lot, a new clutch and lightweight flywheel made sense. We then opted for a full standalone ignition system and mappable ECU from DTA Fast in order to get the best from the freshly built engine. 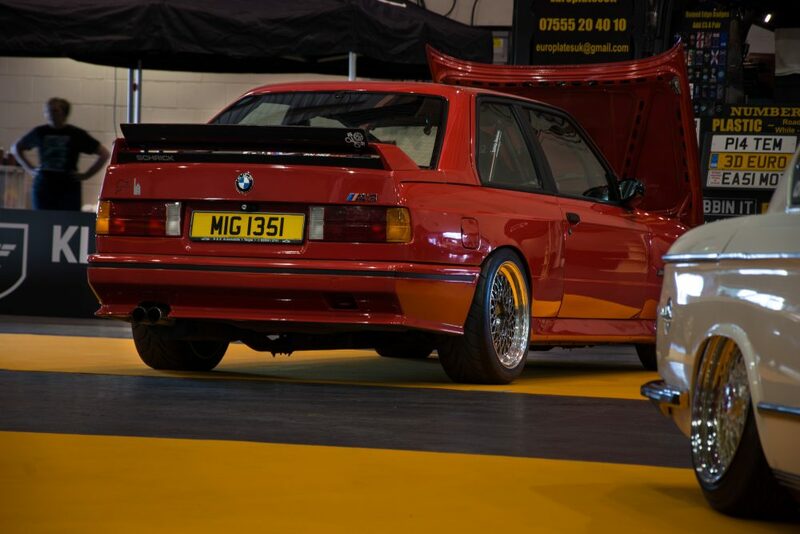 Vink Motorsport, who along with ARM BMW build some of the best E30 M3 competition cars, also supplied their four-branch exhaust manifold. In truth, it would have been way cheaper (and given more power!) to buy and fit the engine from a later M3 like the E46, but the 2.3L S14 is part of what makes the E30 M3 so special. Yes, their power output is modest by comparison but it’s how they make that power that counts. Their willingness to rev and the induction noise from the DTM carbon air box just cannot be beaten, and combined with the E30 M3 chassis, all those cliches people have written about for the past 30 years start making sense. It’s a chassis and engine combination that just loves to be driven hard and is incredibly rewarding to do so. Especially with the changes that have been made to enhance the M3’s driving experience, such as the Samsona shifter and that metallic snick as it changes through the gears. 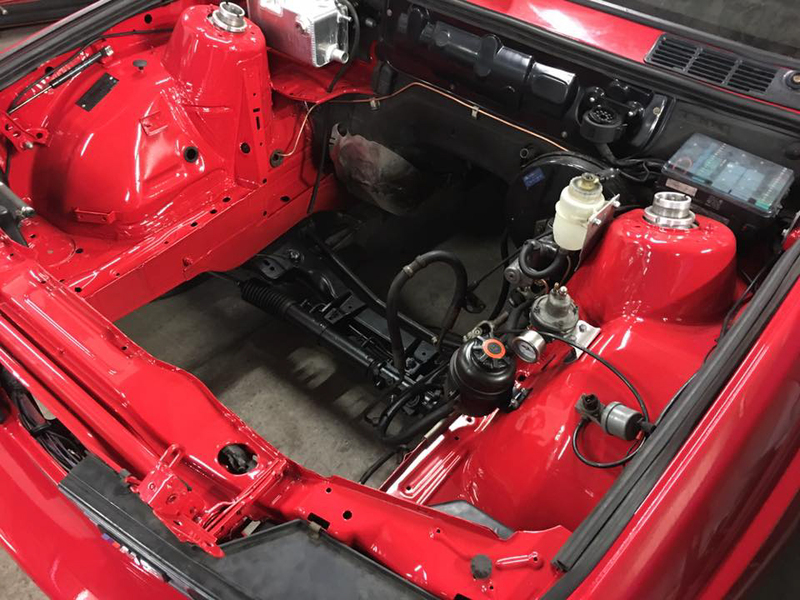 Whilst the engine was off being rebuilt, repairs were done to the floor and the engine bay was cleaned and repainted. We figured we couldn’t go to all the effort and expense of rebuilding that jewel of an engine only to then put it into a grubby bay. We also opted to replace the coolant tank and washer reservoir with alloy versions, which complimented the alloy radiator. The analog gauges also meant fitting new coolant and oil pressure and temperature sensors, which allow us to know exactly what is going on with the engine. A new rev counter was also fitted and the limiter was to be set at 8200. 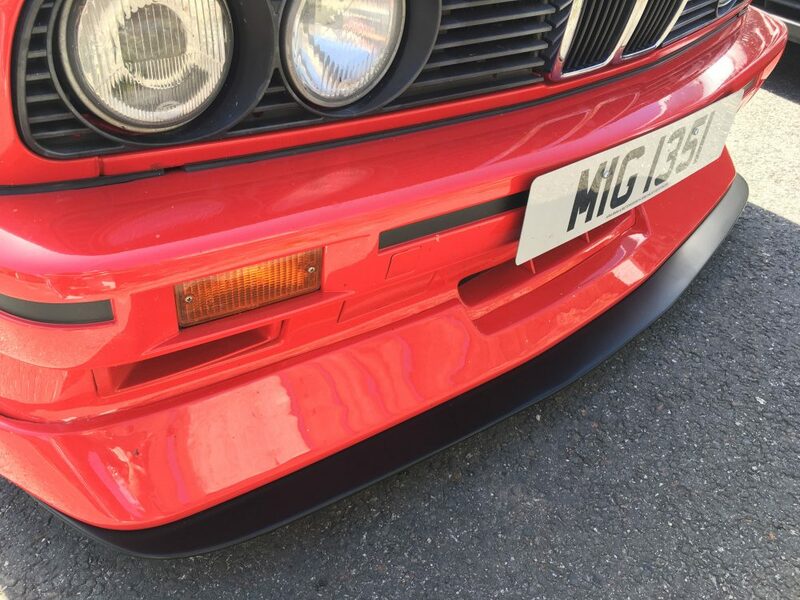 The cam cover, with iconic M Power script, was powder coated in black and is a great contrast to the brilliant red paintwork. As well as the engine rebuild, we decided that the old Maxx Alpha N system was just too sensitive to atmospheric changes, and we also wanted to get the most from the ported and polished head that was now also fitted with Schrick 276/284-degree camshafts, so we looked at various aftermarket ECUs before finally opting for a DTA Fast unit. 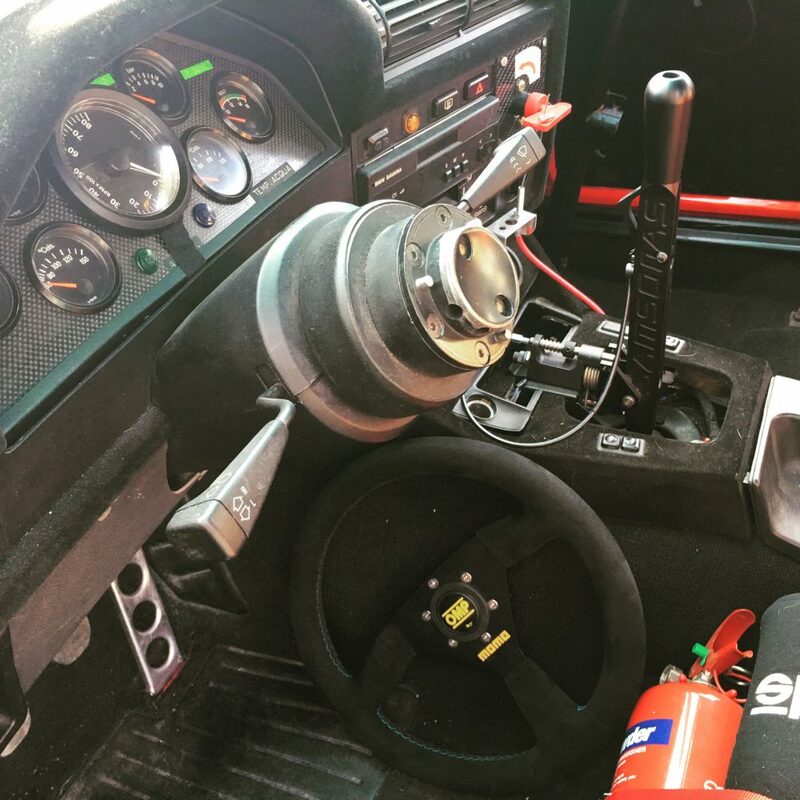 We knew we could use Ford Zetec coil packs and a set of custom HT leads from Magnecor, but it also meant a custom wiring loom and a swap to an S54 throttle position switch, mounted with an adaptor. Say that quickly enough and you forget that all of these changes cost money! The damaged oil pan could have simply been replaced, but we tried to upgrade rather than just replace, so a sump kit and baffle were ordered from VAC Motorsports in the USA. As my M3 is still used on track days, fitting a baffled sump was just common sense. Eventually, the fully rebuilt motor was dropped back into place. 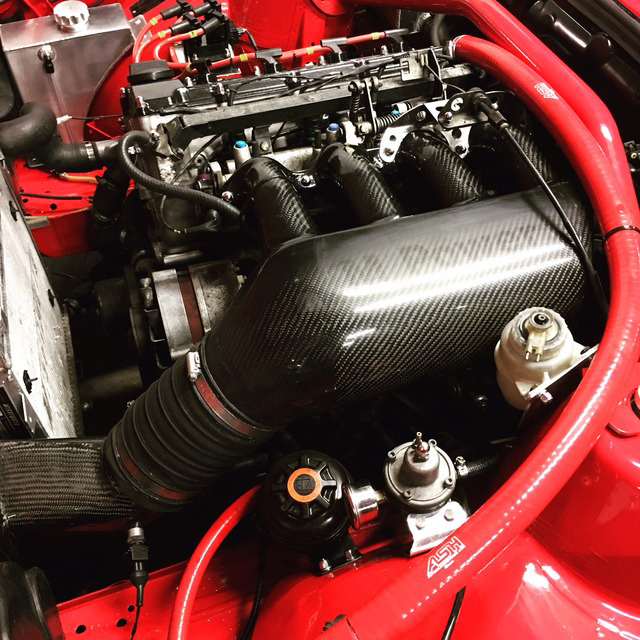 Mapping the S14 on the dyno saw a little over 240bhp, with power still climbing as it hit the 8200rpm limit that we had decided on. 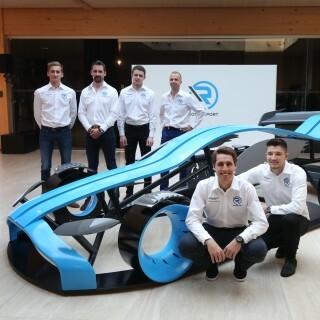 We could have pushed things even more, but we want this engine to be reliable and to last, so it was sensible to just be happy with what we had. That said, once we have put a few miles on it, we will most likely take another look and see what it makes as things loosen up. The transformation when I first drove my car with the new engine was incredible really, and it certainly belies the relatively moderate power. Admittedly, the close-ratio Getrag gearbox and shorter differential ratio have also helped, but there is far more urgency in the way the revs rise as the engine comes on cam. There is a harder edge to the induction noise now too, and it just begs to be driven hard! It’s a pretty addictive combination. So that’s pretty much where we are at today. Three years of hard work, hard saving, and determination, and I finally have an M3 that performs as well as it looks. I’m just as smitten with it as ever, and I know I’m lucky to own and drive such a special car. Yes I could have bought something faster, but outright power isn’t what the E30 M3 is all about. I love the way it looks and sounds, with the sense of theater as I strap myself in and fire it up. The induction bark through the air box and the way the revs just climb and climb. Don’t get me wrong, I know how corny all this sounds, but there’s a reason why the E30 M3 is the icon it is and why it’s a car I drive just for the sake of it. Even when I park it up, lock the door and walk inside, I always take a final glance back at my M3. Mine is way better sorted out and it took me over 10years… to get it the way I wanted it to be. 2.5evo oem block and it’s putting 250whp 200lb/ft of torque. 292/284 schriks, Carrillo forged 11:1 pistons, motec ecu, close ratio os giken built gear box, os giken 100% superlock diff, recaros SRDs correct era, e28 M5 oil cooler with TCkline koni coilovers and some swaybarbarian sway bars, brembo bbk. Evo fly wheel and many other thing that I am forgetting to mention. Awesome street car and I am sure it’s very quick on track. Thank you Giuseppe. I’m glad you like what I’ve done with it. I was at Brands Hatch last week and it was great fun on track. Really nice to read this story. 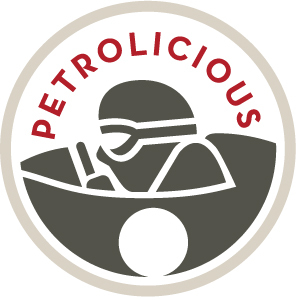 Of course, I have followed all your endeavors on http://retrorides.proboards.com. Nice to read you are so happy with your car, and you truly own a great car! What an icon.